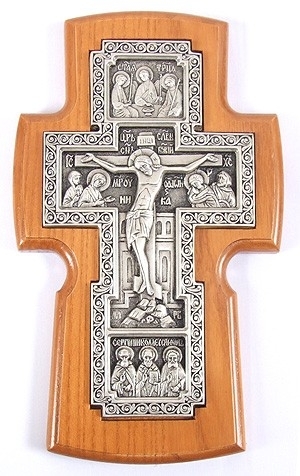 Beautiful traditional wall crucifixion. Solid wood, copper, polishing, laquering. Size: 5.5''x9.3''x0.8'' (14x23.5x2 cm).